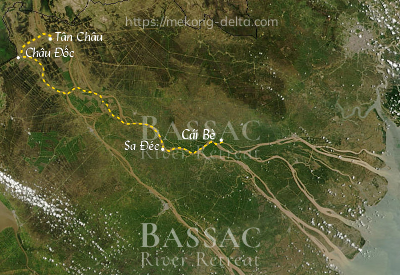 Enquire or book a trip along Cái Bè - Sa Đéc - Châu Đốc - Tân Châu. Check-out and visit of the lacquered silks of Tan Chau, an occasion to discover the rare tradition of the region. Disembarkation to shore at Tân Châu. End of services by mid-morning on shore at Tân Châu.